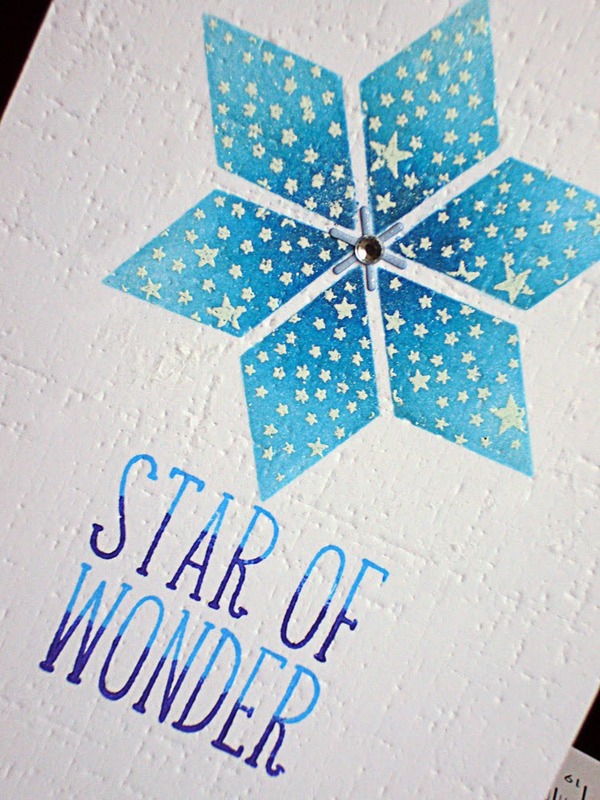 Well, this challenge over at my favourite challenge blog Less Is More - Challenge #197 - Stars, was really a challenge for me, you see, I am still waiting to get my large stars dies and I have no big stars stamps! I wracked my brain and came up with the idea of using a diamond shaped die to make my own stencil, which is exactly what I did - if you stay tuned, I will tell you exactly how I achieved it! This is the card I finally came up with. Next, I made my star stencil out of a diamond shaped die. Then, I stencilled Through with a light blue ink first, then a medium blue & finally a darker blue. After that I white embossed tiny stars through the stencil. TIP: Don't believe them when they say that stencil glue is low tack . . . mine ripped the face off my first attempt! Be very careful with it! Finally, I made my own greeting up with an alphabet stamp set. Super colourful star and a fabulous idea for extending stamps further. Love the texture of the card!! This looks gorgeous... the gradation of colour is superb and it's so innovative to make a large star this way! Hazel what a clever idea and stylish card, love the shading on your sentiment! This is a wonderful card Hazel, I love your design and pretty blues. Hello Hazel! I am visiting via Darnell - she is outstanding isn't she? 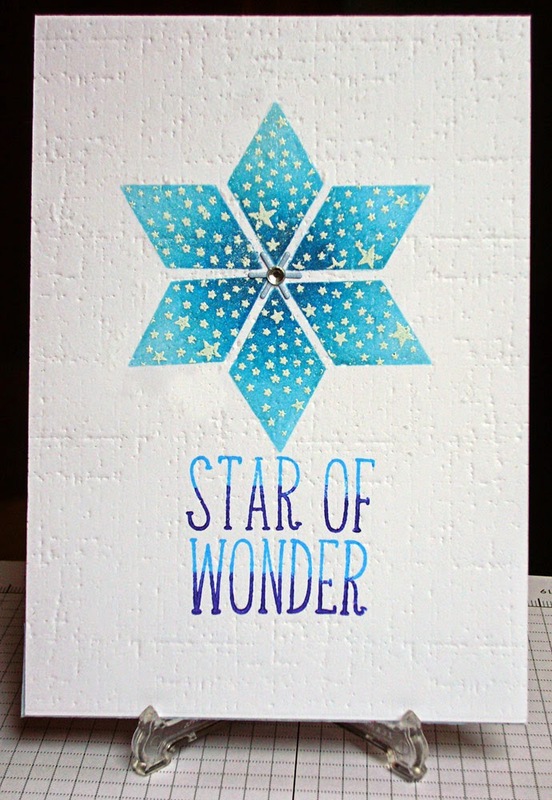 Love your blog, and your cards, especially this star stencil! And yes, those 'low tack' tapes aren't really, are they? I have tried painters tape - needs to be rubbed vigorously on jeans before using, and even then it's too sticky, and recently, I'm trying micropore tape (surgical) and that seems to be much better - softer stick. This one really popped out at me on the board. Love it, beautiful colours and design.